A traditional selection of fine Italian wine, pasta, and all the trimmings. 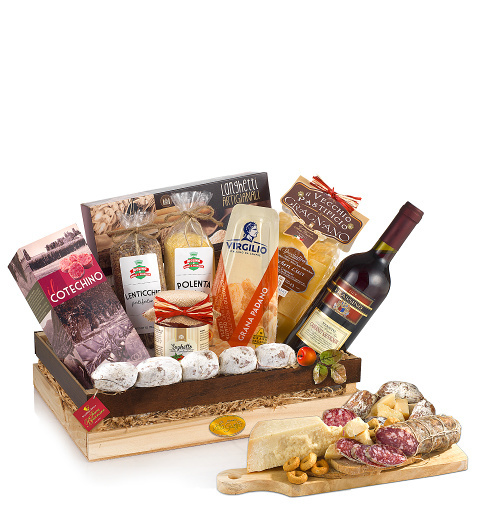 All beautifully arranged in a beautiful Italian crate for an eye catching presentation. Treat a friend or loved one to this fine festive feast and make their Christmas a very merry one indeed!